FACT CHECK: Did Pope Francis Cancel the Bible and Propose a New Holy Book? Did Pope Francis Cancel the Bible and Propose a New Holy Book? A shocking story about the Pontiff's upending thousands of years of tradition originated on, you guessed it, a hoax site. Pope Francis cancelled the Bible and proposed the creation of a new holy book. The work of fiction may have fooled some readers, as it was published just a few days after several media outlets reported that Pope Francis had denied one of the core tenets of Catholicism — the existence of hell. That rumor, too, was likely either embellished or misreported. Put the 81-year-old pontiff in front of a microphone, and he will make news. Case in point: During a 2015 brief press conference aboard the papal plane from the Philippines to Rome, when Francis sounded off in his very unpope-like way on birth control, corruption and kicking grifters where the sun don’t shine. Pope Francis has responded to claims that many of his teachings “contradict Bible teachings” by saying that his words “overrule” anything written in the Bible. The pope has further angered traditional Christians in recent weeks by developing the habit of hiding the crucifix that is worn around his neck when speaking in public, causing many Christians to believe the pontiff is ashamed to display the powerful Christian symbol. 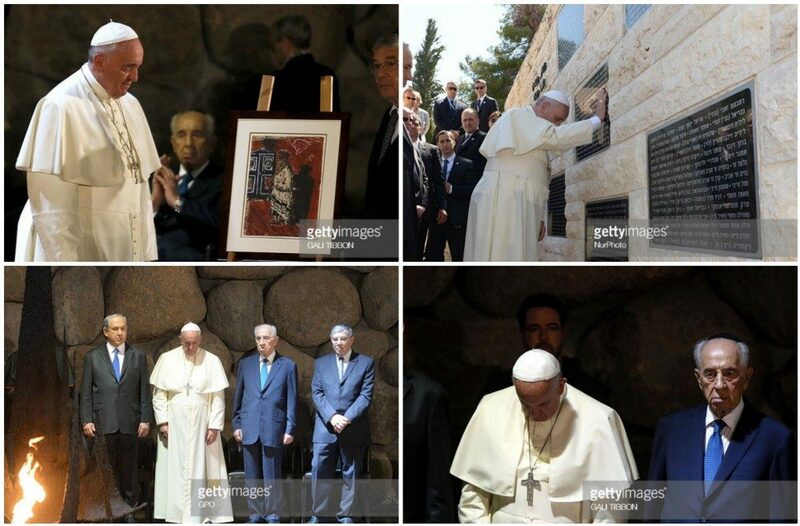 Likewise, this web site provided three more images which purportedly showed the pope hiding his cross during a visit to Yad Vashem, Israel’s memorial to the victims of the Holocaust, in 2014. And although these images all truly show the Pope with his crucifix partially hidden behind his fascia, this is hardly proof that the Pope is ashamed of his religion. The pope never said that he was cancelling the Bible or that his word “overruled” what was written in the holy book. Furthermore, the photographs purportedly showing the pope “hiding” his cross from view are merely cherry-picked moments from when the crucifix he wears momentarily slipped behind his clothing. New York TImes. 30 March 2018.